The Kellogg family has been helping civic, charity and faith-based organizations through philanthropy for more than a century. 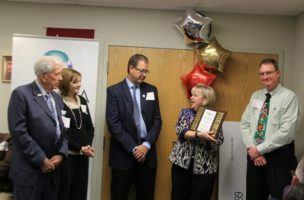 Today, Thomas M. Kellogg, DDS, of Howell continues his family’s legacy of giving back to the community by making a difference in Livingston County and around the globe. Thomas grew up in Howell, only a few blocks away from his grandparents. 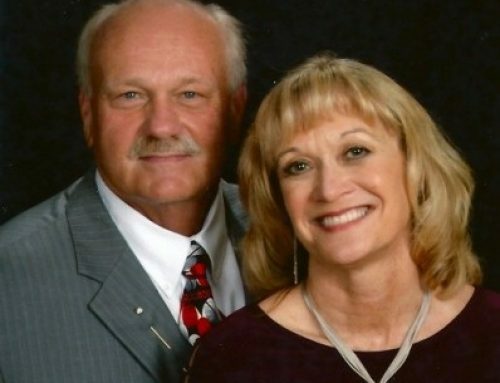 The close-knit family spent many nights and weekends volunteering at civic and charity events to help disabled and disadvantaged families from Livingston County. He is the great-grandson of John Harvey Kellogg, M.D., whose is best known for the invention of the famous breakfast cereal, Corn Flakes. John Harvey and his brother, W.K. Kellogg, went on to establish the Kellogg Company in 1906. 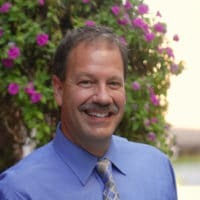 Thomas is a staunch advocate of parenting education and works with LACASA Center to sponsor a variety of parenting education programs each year. “Learning the tools and skills to be a good parent benefits our entire community,” said Kellogg. In 2004, Thomas founded the Kellogg Family Foundation to honor his parents’ memory. The foundation was established to carry on the stewardship of his parents, Edward M. and June Ellen Kellogg. 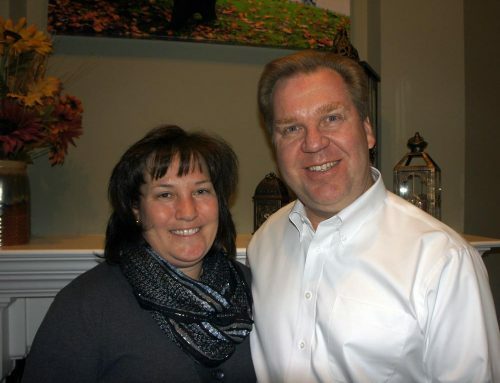 “They worked hard and were very grateful for the life they had here in Howell,” said Thomas. Dr. Kellogg is the fourth generation to be in healthcare, and it’s safe to say that his grandparents and great-grandparents would be proud of the foundation’s accomplishments. 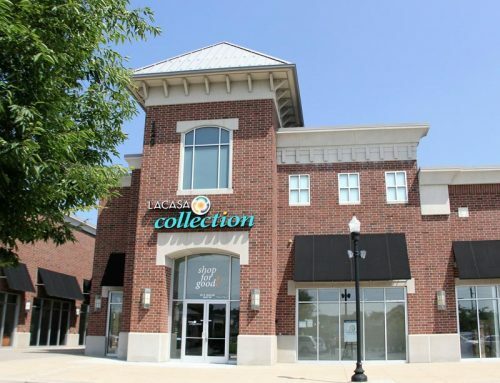 It is because of the foundation that LACASA is able to provide community-wide parenting education programs that help foster healthy family relationships and prevent child abuse. 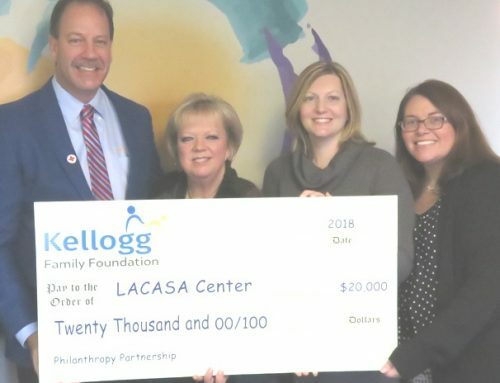 The Kellogg Foundation is a Philanthropy Partner with LACASA Center, and provides essential funding for the Healthy Families program, which offers in-home support for new parents, “Nurturing Parenting” classes for parents of newborns through age 11, and the “Fathers Only” workshop series. 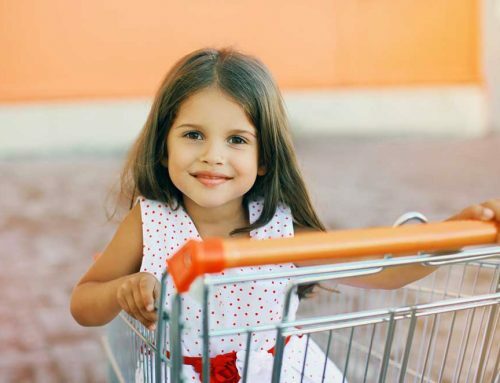 These programs help parents learn what to expect during natural stages of child development, how to cope with the frustrations of parenthood, and ways to create positive family connections. In December, 2014, LACASA hosted a 10|10 Celebration for Thomas and the Kellogg Family Foundation. The luncheon commemorated the foundation’s 10-year anniversary and the 10-year mark of the foundation funding LACASA’s parenting programs. Participants from past Fathers Only programs attended the event. Several fathers spoke about how they benefited from the series and how important the experience was for themselves and their children. “It was a relief to find out I was not alone in facing the challenges of fatherhood,” said one class participant. Thomas said he was so impressed with the program’s Parenting Coach, Jan Labor, that he was inspired to start funding the program. 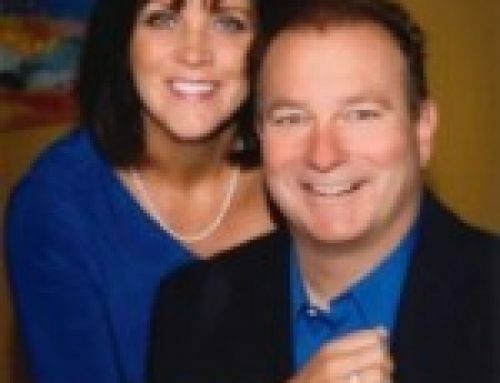 Thomas has been a practicing dentist in Howell for more than 30 years. His office, Kellogg Dental, is located on Byron Road. The practice hosts annual dental care events for area residents who are uninsured and underinsured. He also offers special dental cleaning days for veterans in need of dental care. Recently, Dr. Kellogg spearheaded a match-grant project with the Howell Chamber of Commerce to restore the Veterans War Memorial in downtown Howell. More than $22,250 was raised by community members and the foundation matched the donations for a total of $44,500 dedicated to beautifying the memorial. 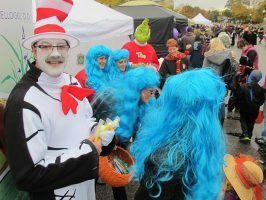 Kellogg Dental joins in the Legend of Sleepy Hallow event in Howell each Saturday before Halloween. 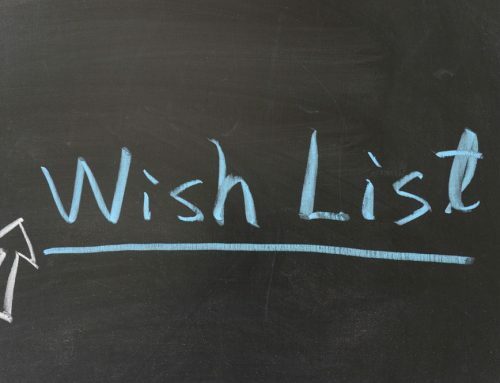 The office pays $1 per pound for unopened Halloween candy one day every year. All holiday candy, along with Kellogg Dental toothbrushes, are put into care packages and sent to troops overseas by the Operation Gratitude organization. The dental firm consistently has been Voted #1 as the “People’s Choice” for Top Dentists in Livingston County. Kellogg Dental also is a provider of Dentistry from the Heart in Livingston County. This will be the seventh year the dental staff has participated in the program, which provides free dental care one day a year for those in need. Kellogg Dental has donated more than $120,000 in dentistry services to residents of Livingston County through this program. When Thomas isn’t working at his office or out in the community, he manages the Kellogg Family Foundation and participates in many of its outreach programs. 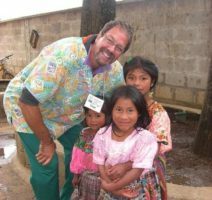 Each year, the foundation sponsors mission trips to teach dentistry and dental care in remote areas of the world. Thomas travels to mountaintop villages and rural farm areas to help change cultural attitudes about oral hygiene and cavity prevention. “Many third-world cultures do not know that good oral hygiene helps prevent serious health problems and even premature death,” said Thomas. The Kellogg Foundation has an impact locally and internationally. 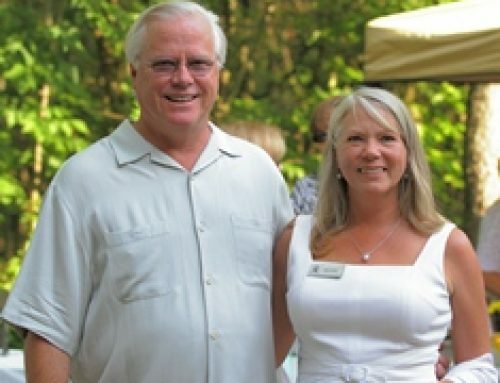 It is one of the most active members of the Council of Michigan Foundations, assisting more than 30 charitable groups since it was established. The Kellogg Foundation’s newest project is an exciting one for Dr. Kellogg. In partnership with the American Red Cross, the foundation will work with Livingston County high schools to train students in CPR. This safety training course is expected to save lives, as statistics show teen children often make the first 911 call when a parent is experiencing physical distress. The new program is titled Save One Life, and the foundation made a grant of $200,000 to launch the program county-wide. “If we save just one life, we’re way ahead of the game,” said Thomas. 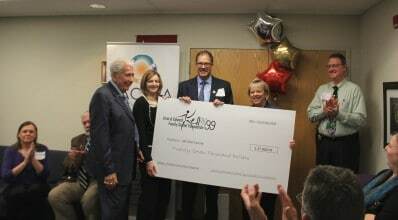 The foundation is in the process of starting other local projects aimed at helping the residents of Livingston County live happy, healthy lives. Thomas has three grown children and recently became a new grandfather. Congratulations!